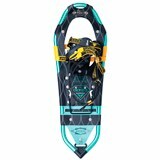 Small - 20.5"Medium - 23.5"Large - 27"
The snowshoe of the future is born with the TSL Symbioz Hiker Snowshoe. 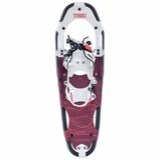 The user s stride has always had to adapt to the structure and shape of the snowshoe. But take a moment to imagine the opposite. 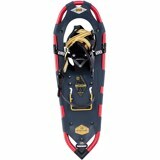 Imagine that the snowshoe has to adapt to your foot, your stride and the terrain in which you are walking. Imagine that each step is unrestricted... Imagine lightness, grip and a totally natural foot movement during your winter walks... Imagine yourself quite simply in total symbiosis with nature. STOP! No need to imagine any more... The product now exists... Remember the name: TSL Symbioz. 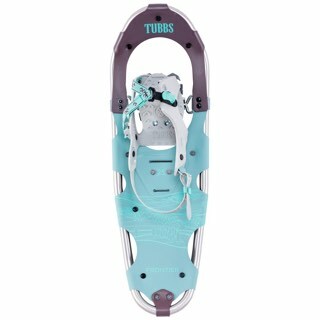 The key feature of the TSL Symbioz Hiker is its hyper-flexibility in terms of both the frame and the binding. It adapts to rugged terrain to give the feeling that the feet are moving quite naturally. The reinforced inserts give the TSL Symbioz greater elasticity and responsiveness when not in contact with the ground. Finally, its lightness adds a feeling of freedom and ease of walking. Quick to put on, comfortable and with pre-adjusted memory, the telescoping binding is wonderfully supple, allowing the foot to move naturally within the frame. 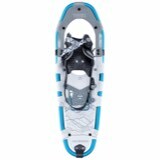 The new Easy Ascent heel lift, built into the binding, is activated by simply pushing it with the pole.